An alternative to expensive bows is sling bows. A sling bow could be a great tool for defense and is also useful for other tasks of survival. 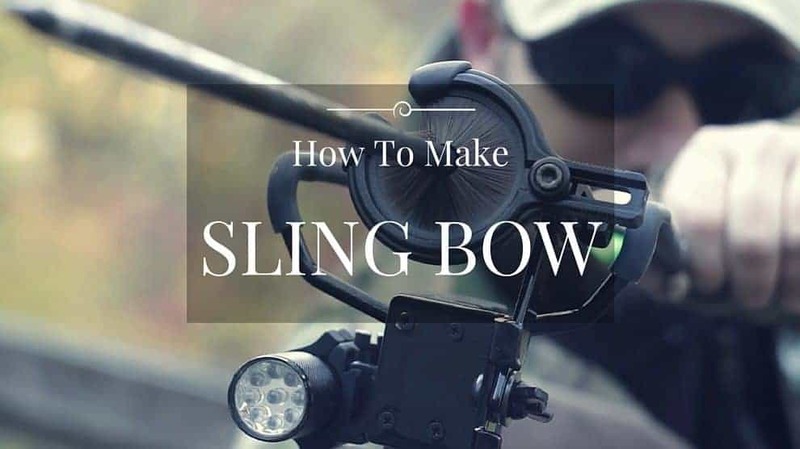 In this article, I will teach you how to craft your very own 45-pound sling bow for as low as five bucks! The steps are so simple and easy, making it really exciting to do! The five-dollar budget goes to the primary material used in making this sling bow – PVC electrical conduit. It’s quite cheap as you can buy a 4-meter length for that price. 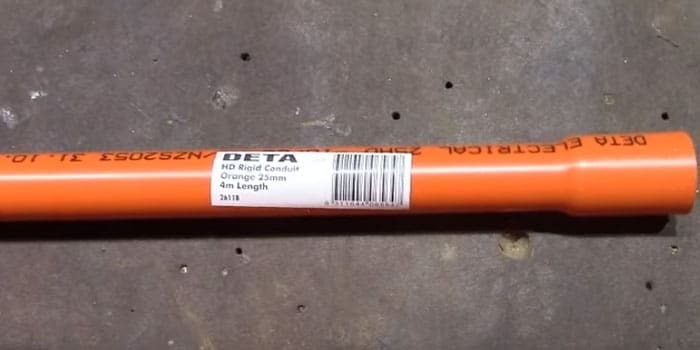 Like the one in the picture, you can purchase a DETA HD Rigid Conduit with a diameter of 25mm. You can also use other standard PVC; however, this one is the recommended choice because it’s a lot thicker. 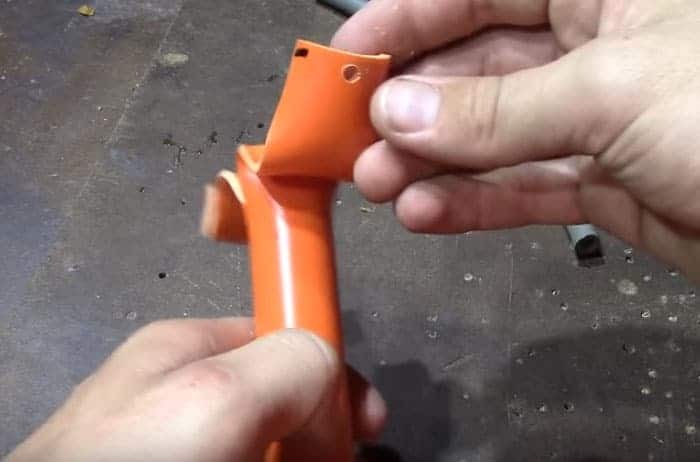 You won’t need the entire length of the conduit. First, mark a span of 25cm from the edge. 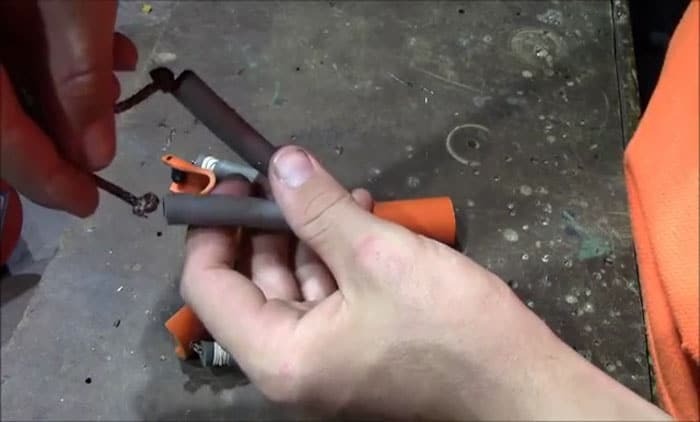 Now cut it with an electrical conduit cutter (you can buy one or borrow from a friend). You can also use a saw or anything that could cut that plastic. 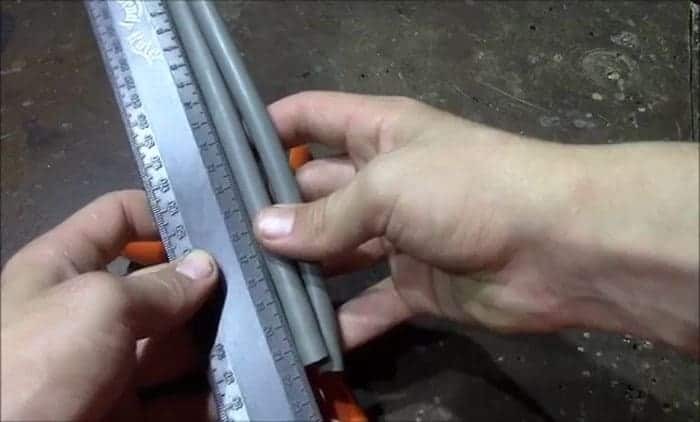 Store the remaining length in your garage or basement or you could use it to make multiple sling bows! 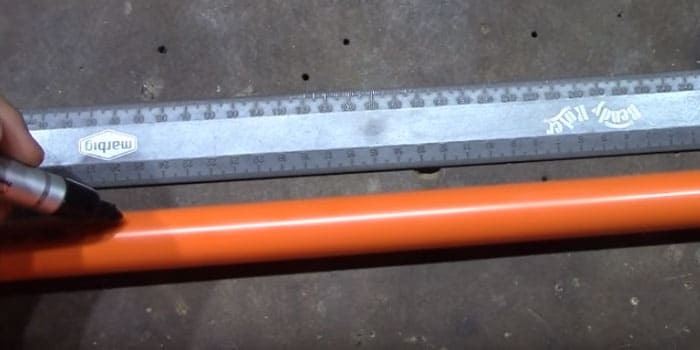 For the 4-meter PVC conduit, you can actually make more than a dozen! Now that you have a 25cm conduit mark 8cm into it. Cut down the middle until you reach the 8cm mark. Step 4. Heat the conduit. You can either use a heat gun (if you have one) or your stove top. 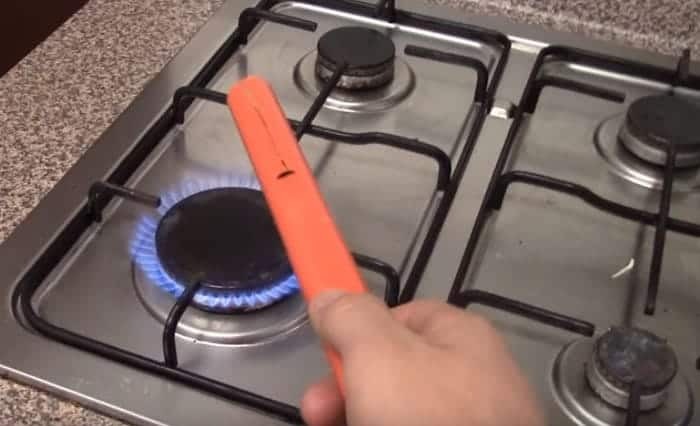 Open one of the burners of your stove and hover the PVC type above the fire to heat it up to the extent it becomes floppy. 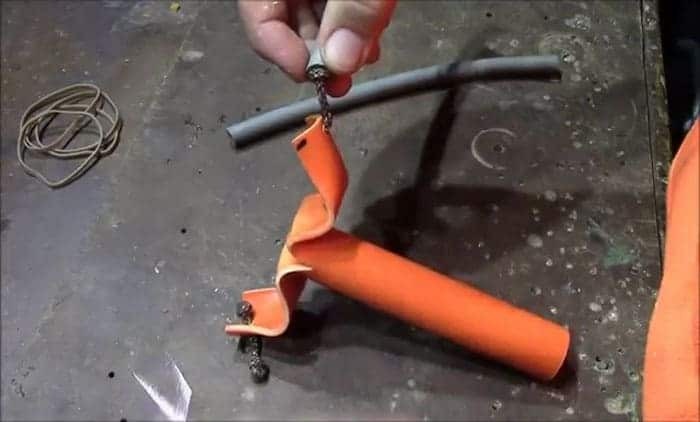 Make sure you won’t expose the conduit too close to the heat to prevent it from melting. 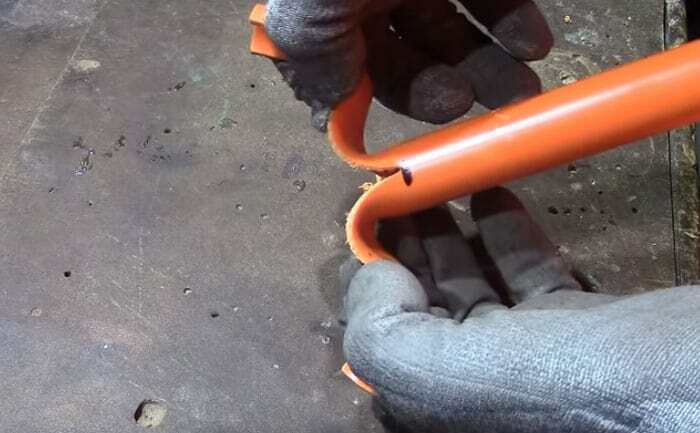 Now that your conduit is ready to be molded wear a pair of gloves and start bending the floppy part into a “W” shape. Hold it that way until it cools down and becomes rigid. Once the PVC has cooled down, it is now ready for the attachments. 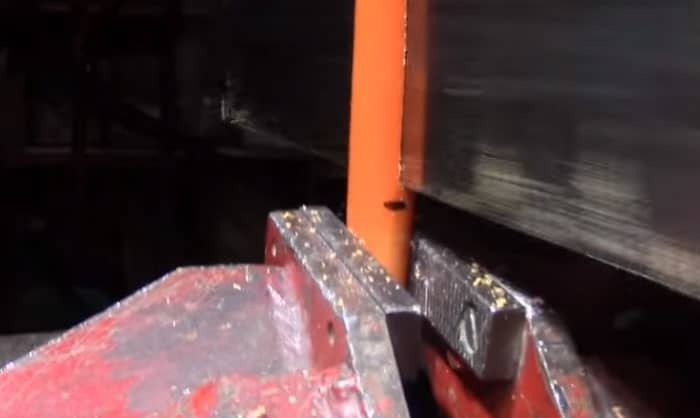 Drill holes on each side of the forks. Now get some elastic bands and chords; surely there are some of these lying around in your home. Tie a knot in a piece of chord threaded through the hole in the fork and then tie another knot that extends to about 2cm. Do the same thing on the other fork. Get some exercise bands – a robust material perfect for any sling bow – with an astonishing draw weight of 45-50 lbs. Now cut the two exercise bands for about 25cm each depending on the draw length of your arm. If your draw length is more than that, then feel free to cut it longer. Now for attaching the exercise bands, all you have to do is to press the knot firmly into the middle of the rubber bands and push it for about a centimeter deep with a screwdriver. Make sure to pull the plastic bands tightly while wrapping them and end it with a half-hitch knot. This is to hold the exercise bands in place when you draw back. Now cut the excess to make it look neat and nicer. Do the same thing on the other side. Now cut a piece of 9 cm rope; it must have knots on each side of it. Remember to melt the end part of the knots so they won’t undo in the process. 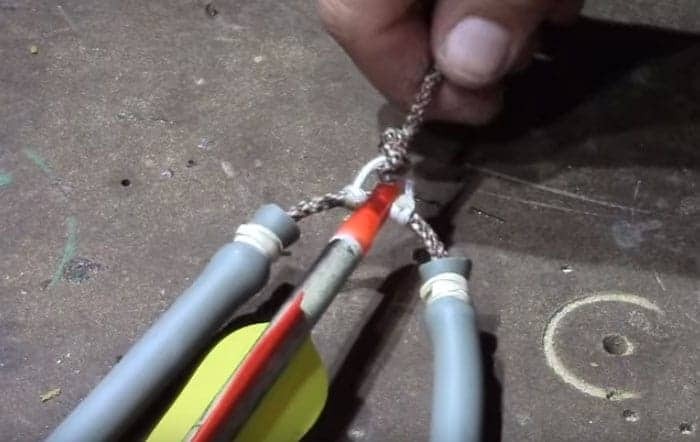 By doing that, your sling bow will never come apart. 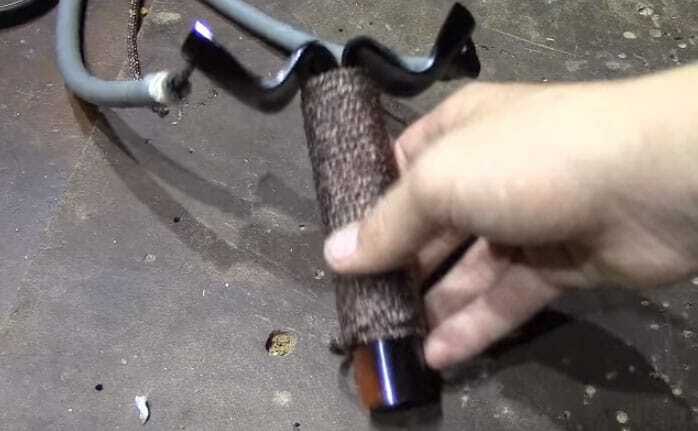 Attach the knots to each end of the exercise bands and do the same “tourniquet” process. Press the knot firmly inside the rubber bands using the same screwdriver and push it for about a centimeter deep. Now get a couple of plastic bands and wrap it around the edge of the exercise bands to secure the knots. Lastly, cut off the excess. You’re almost done. 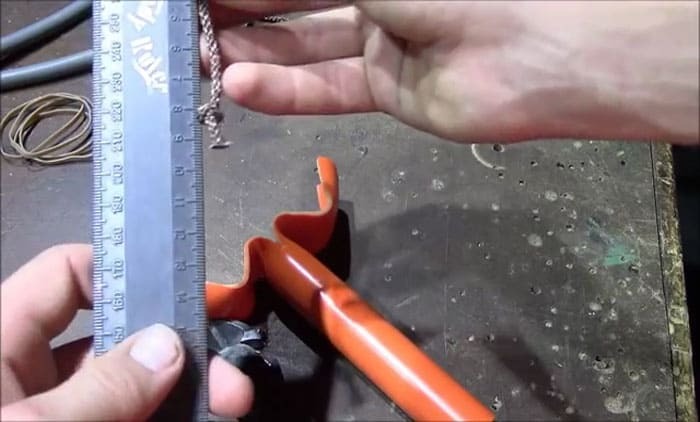 Now that you have connected the exercise bands with the 9cm rope make a “D” loop in the center of this particular rope. Refer to the picture. A “D” loop is just a loop that looks like a capital “D”, hence the “D” loop. This is where the arrow will lock in between the two clove hitch knots. All you have to do is to tie a small rope to the 9cm rope you just connected previously. Do a clove hitch on each end of that little line. After which, you will be able to create a loop that looks like a “D”. You might also want to melt the excessive ends of the knots. It’s highly important because you wouldn’t want this loop to undo while you are in action. 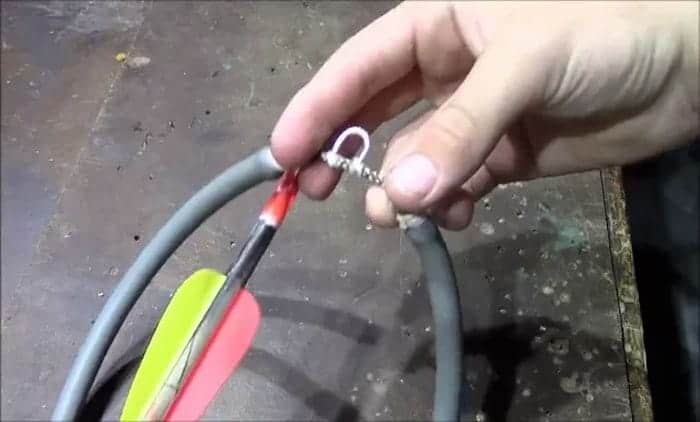 See to it that your arrow fits and locks perfectly with your “D” loop. Now attach a manual release aid – something you can buy at your local archery shop or online. If you can’t afford one or if it’s not available in your area, you can quickly make an alternative manual release support. Simply get a piece of rope and tie lots of knots (and I mean lots) in it. Now tie it around your “D” loop. You now have something to hold on to when drawing back an arrow and taking aim. The knots you tied in the alternative manual release aid serve as your grip when you’re pulling back so that you’ll prevent accidental finger slips. Now you can make a test shot! You can do this preferably indoor. When trying outdoors, make sure you have your own sturdy targets like a wall or a large wood for instance. Do NOT just aim in the open air as you might hit somebody. Finally, you can have your arrow and notch. Clip on, release, and fire! When everything goes well, as it usually does, you can now paint (using spray paint) your sling bow. It’s cool to make it black. That’s it. You now have your very own powerful sling bow!